Equality in Tourism is an independent, non-profit women’s consultancy and network with base in North London, dedicated to ensuring that women have an equal voice in, and share of the benefits from, tourism worldwide. We are a vehicle providing gender specialist advice, training, capacity building and innovation for every level of the industry. Five hashtags which best describe you? Who is leading the organization? Dr Tricia Barnett co-director of Equality in Tourism and putting into practice projects working towards gender equality with poor women through enterprise and gender empowerment. She was previously director of Tourism Concern for 20 years, establishing it as the key organisation for advocacy and change in sustainable tourism, both in the UK and globally. Tricia works with donors, government departments, international agencies, tourism developers, tour operators, communities. 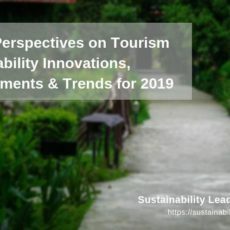 She initiated many critical projects that have helped to embed sustainable tourism, including the pioneering Ethical Tour Operators’ Group and internationally recognised codes of practice and organisations. She has worked as an advisor to the UK’s leading operators and with the UK government to include sustainable tourism development in policy and programmes. Tricia has researched and written on community-based tourism, fair trade tourism, water and tourism, labour conditions in hotels, tourism as trade and human rights. In 2004 she received a highly commended award for the Greatest Contribution by a Person for Responsible Tourism from the Responsible Tourism Awards and a Lifetime Achievement Award in 2011 from the British Guild of Travel Writers. 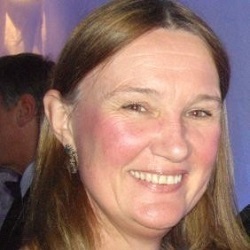 Identified by Travel Trade Gazette as one of the 50 most influential women in the UK industry and by Which? magazine as one of the five most influential people in the UK travel industry. Tricia Barnett is part of our virtual expert panel. Read our interview with Tricia here. 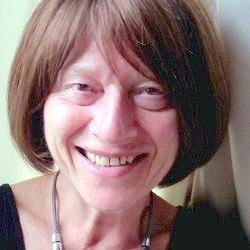 Dr. Stroma Cole, co-director, is also a senior lecturer in tourism geography at the University of the West of England. 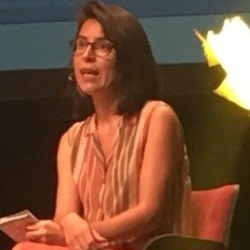 With research interests in responsible tourism development in less developed countries, the anthropology of tourism and the link between tourism and Human Rights, she is an activist researcher critiquing the consequences of tourism development. Stroma has published widely. Her most recent book: Gender Equality & Tourism: Beyond Empowerment, will be published by Cabi 2018. Also, together with Nigel Morgan: Tourism and Inequality: Problems and Prospects, and monographs Tourism, Culture and Development: Hopes, Dreams and Realities from Eastern Indonesia which documents tourism and change in remote villages in Flores over a period of 15 years. 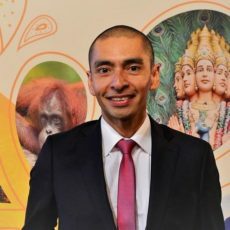 Dr Cole has published in a variety of journal articles including Annals of Tourism Research, Human Ecology, the Journal of Sustainable Tourism, Tourism Geographies and Tourism Management. She has been researching tourism women and water inequality in Labuan Bajo Indonesia and previously in Tamarindo, Costa Rica; Bali, Indonesia; Kerala, India. She has worked for the UNDP in Sumatra and the FCO in Mexico. Dr. Daniela Moreno Alarcon has international experience in the tourism sector, specifically working towards the integration of a gender perspective and gender mainstreaming in tourism development, national policies and strategies, and programme design across a range of country contexts. Her tasks in leading projects have also centred on raising awareness of a gender perspective in tourism policy development through research, the Training of Trainers, participation in prominent conferences, education and advocacy initiatives. Daniela’s main working task has been the identification and analysis of key measures needed to achieve the integration of a gender perspective in tourism policies. She has been in charge of several gender and tourism diagnosis at the national level, including two initiatives undertaken in Cape Verde, as well as projects in Nicaragua Morocco, The Gambia, Senegal and Bolivia. In this capacity, she has proposed concrete recommendations tailored to the context of tourism and gender context, alongside the identification and promotion of good practices in gender and tourism. Best practice is that which fully understands, and thus has policies that respect the fact that gender equality is a basic requisite for a genuinely sustainable business. This applies at boardroom level and all the way through the organisation. 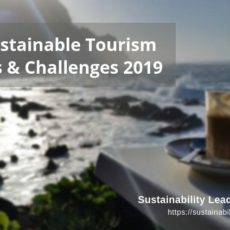 Where can we learn more about your sustainable tourism work, and how to best contact you? Via our website’s contact form is probably the best way – though we’re active on Twitter, LinkedIn and Facebook. We would love more professionals to engage with our FB group.